After a great gig last Thursday we are now looking forward to the Camden Crawl, where we be providing more capable backing for all of you star singers! Fancy fronting an entire (BIG) band of fine-tuned ukuleles? Here’s your chance… with KaraUke! (Ukulele Karaoke, to the uninitiated). We provide words, music and backing vocals (should you need them). You’ll love it! The menu will have everything: Abba to The Zutons! We will be playing in the Monarch on Sunday the 6th May. Check out our Camden Crawl Facebook Event for more updates about the Camden Crawl. Not going to the Camden Crawl? 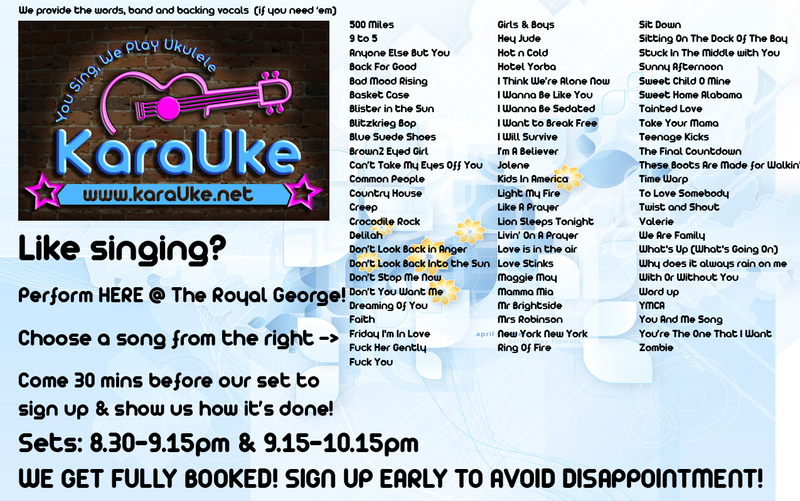 Want to sing with KaraUke in Soho? We’re playing on Thursday 17 May. Sign up for free entry by clicking ‘attending’ in our facebook event here. 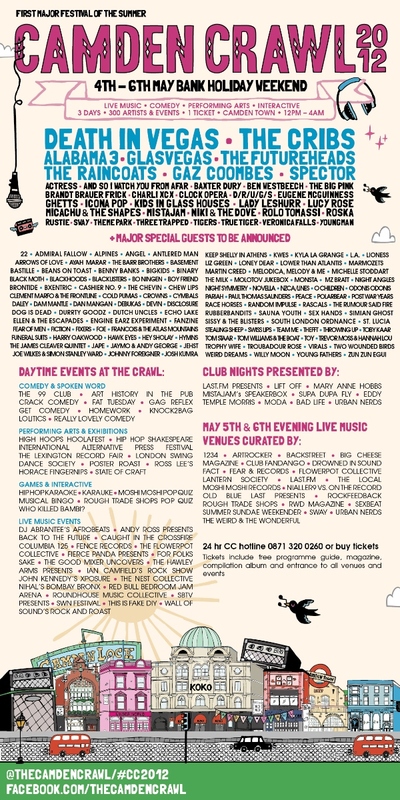 Camden Crawl’s full line-up has now been announced – see the flyer for info. Tickets are available online and on the day. We hope to see you there! Previous Previous post: Sing with us in March! Vote on the theme!